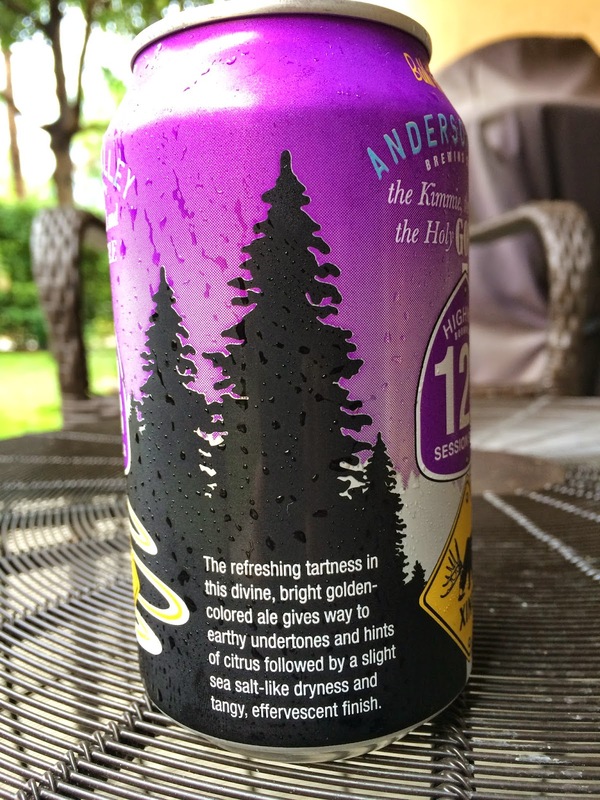 Anderson Valley Brewing had a new beer on the shelves yesterday. 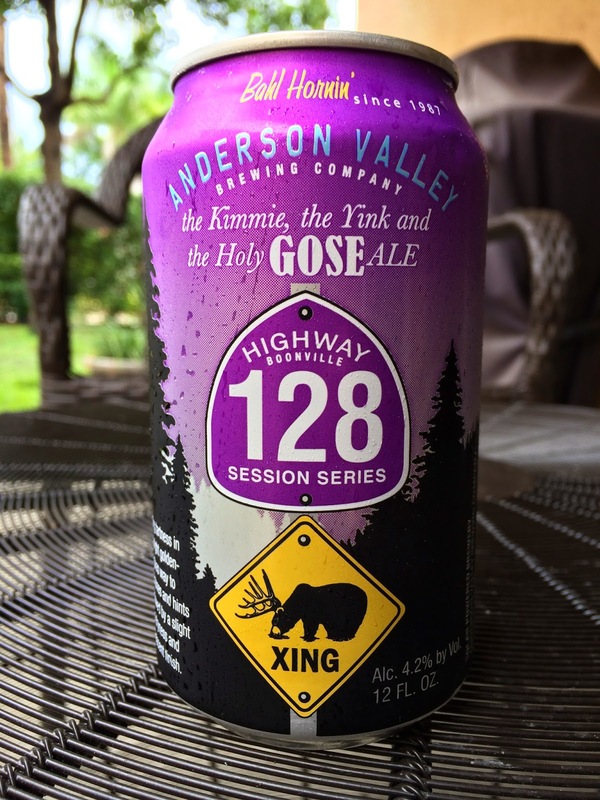 And who wouldn't pick up a cool purple can of beer named The Kimmie, The Yink, and The Holy GOSE Ale? Seriously! 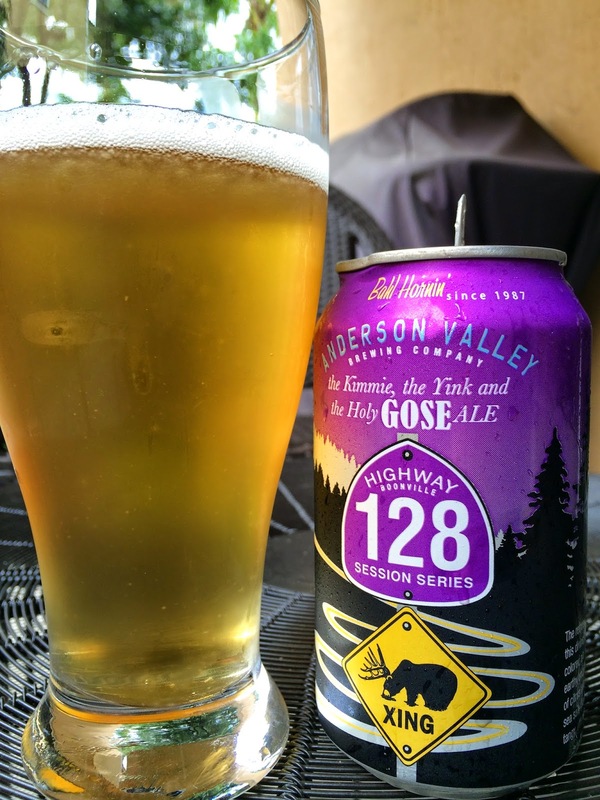 Anyway, this 4.2% alcohol beer is a member of their Highway 128 Session Series. The can is nicely decorated with a wilderness scene and shows Highway 128 disappearing into the forest. On the side, a short paragraph sets your Gose expectations. Sharp lemon tartness meets sour unripened grapes, very distinct aroma. There is also an underlying graininess in the nose. Very tart flavors to start, full of lemon and bright citrus. Sour apples come next. Tangy and sharp on the palate with faint hints of spice and saltiness. Excellent carbonation and quite refreshing. I might go back for more of this!